Durlock Lodge - Bed And Breakfast Bed And Breakfast Durlock, Minster CT12 4HD. Durlock Lodge - Bed And Breakfast, Durlock, Minster CT12 4HD. With is quiet location opposite the abbey, yet within walking distance of traditional old English pubs and restaurants, Durlock Lodge offers charming accommodation set in a traditional British village. You can have a self service continental breakfast as early or late as you wish. Cooked breakfasts are not available but there are a range of cafes in the area that provide a full range of breakfasts. If you would like more information to make your stay that bit extra special, then please email or telephone us. 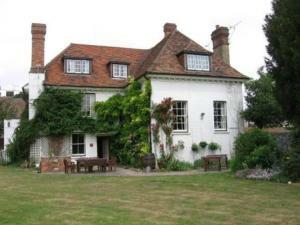 Hotels in Minster: Durlock Lodge - Bed And Breakfast, Durlock, Minster CT12 4HD. Hotels in Minster, B & B's, Serviced Apartments, Accommodation in Minster with last minute deals and late room discounts.